Bethune-Cookman went to work against Savannah State and picked up three MEAC wins this weekend. 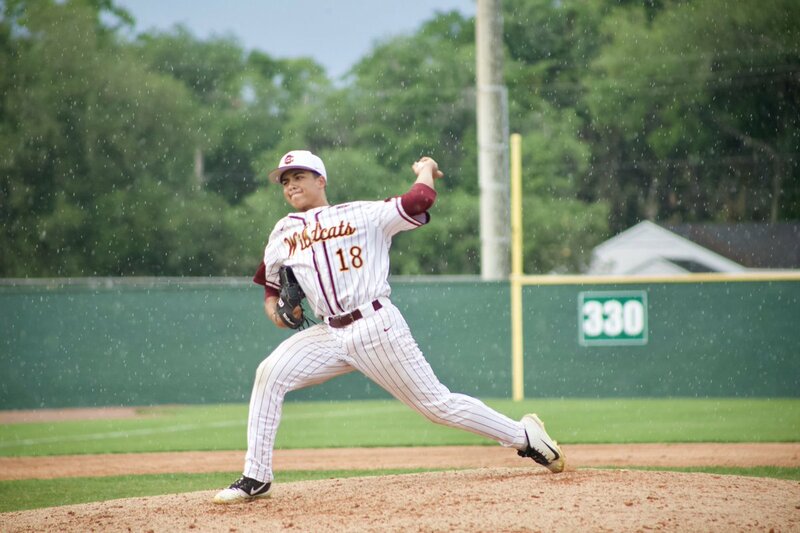 SANFORD, Fla. – A two-out ninth inning homerun and walk-off walk solidified a series sweep for Bethune-Cookman against Savannah State Sunday at Historic Sanford Stadium. BCU (13-20) is now 6-6 in the Mid-Eastern Athletic Conference after two victories today. The Wildcats finished a weather delayed game from Saturday with an 8-5 victory, then came from behind to score four in the ninth for a 10-9 win in game three of the series. SSU (7-17-1) is now 5-7 in the conference after today’s results. BCU resumed the game with a 7-3 lead in the top of the eighth and hung on for an 8-5 victory. Brandon Wilkes drove in three and tallied his fourth save with two hits, three strikeouts, and no walks over two frames. The Wildcats racked up 10 hits and were paced by Brady Van Hook’s three. Jordan Pinto (4-1) earned the win out of the bullpen with one inning, two walks, and a strikeout. Brady Norris made his first start of the season in a return from injury and threw 4.2 innings with three runs off five hits, a walk, and four strikeouts. Tiger pitcher Caleb Hill (1-4) took the loss with six earned off seven hits and five walks in four innings. In a game that featured 24 hits, a bases-loaded walk to Josten Heron proved to be the decider. It took only four pitches from reliever Joey Roberson, who previously hit Zach Spivey to load the bases, to allow Danny Rodriguez to touch home. The rally began with a leadoff walk to Brady Van Hook and single by Nate Sterijevski. Over Torres had an RBI ground out, but Brandon Wilkes flew out to send BCU to its last out. However, Joe Fernando was up to the challenge when he took a 1-1 pitch from Matthew Shunk over the left field wall to knot the game at nine. A single by Danny Rodriguez and Silas Grinstead continued the rally. It was one of two hits by Rodriguez, who clubbed his first homerun of the season on a three-run shot in the fourth and finished 3-5. Fernando and Wilkes each had a pair of hits and RBI. Isaak Gutierrez received the win to advance to 2-2. He threw the final two innings with a couple of runs off two hits to go along with a walk and two strikeouts. Seth Lovell fired 3.1 innings of shutout baseball with just two hits. He struck out three and walked one. Shunk (0-2) took the loss after allowing all four ninth innings runs. BCU has a pair of mid-week games ahead at Stetson and USF on Apr. 9 and Apr. 10, respectively.